Garages Today: It's all in the details. 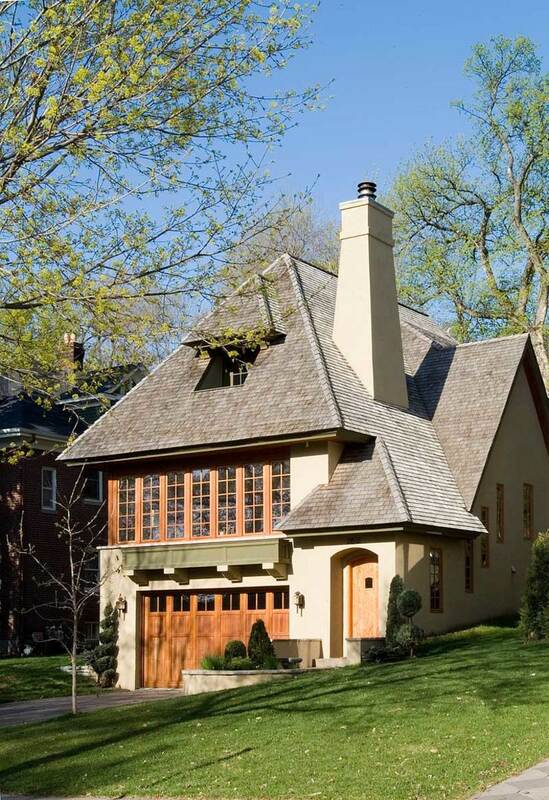 The garage tucks into the steep site, elevating living areas of a new English Arts & Crafts house designed to blend into the traditional neighborhood. Note the large window box held on corbels. Design by TEA2 Architects, Minnetonka, Minn. 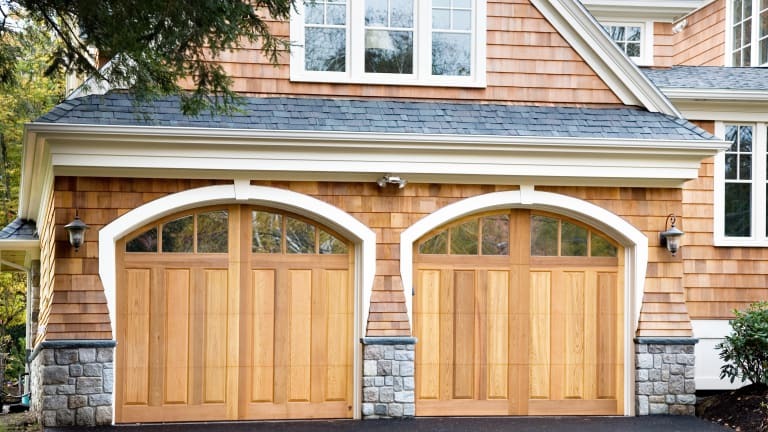 The garage door can make up as much as 30 percent of a home’s façade. 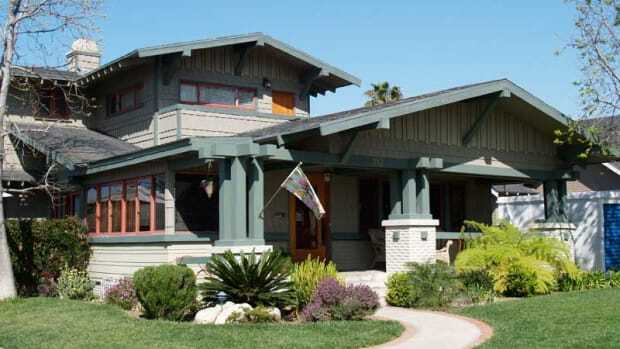 That in itself should make investing in the right one a priority, especially if your home is weighed down with an older steel or fiberglass model out of sync with the architecture of the house. 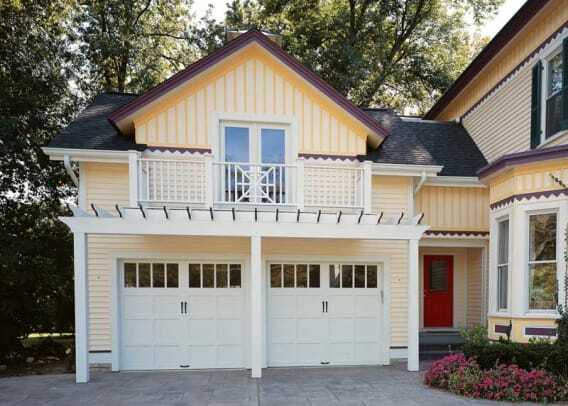 Architecturally intriguing options for the garage have never been so plentiful, or available at so many price points. Manufacturers have continued to improve the looks of their products so that even a simulated wood door looks a lot more realistic than those of just a few years ago. 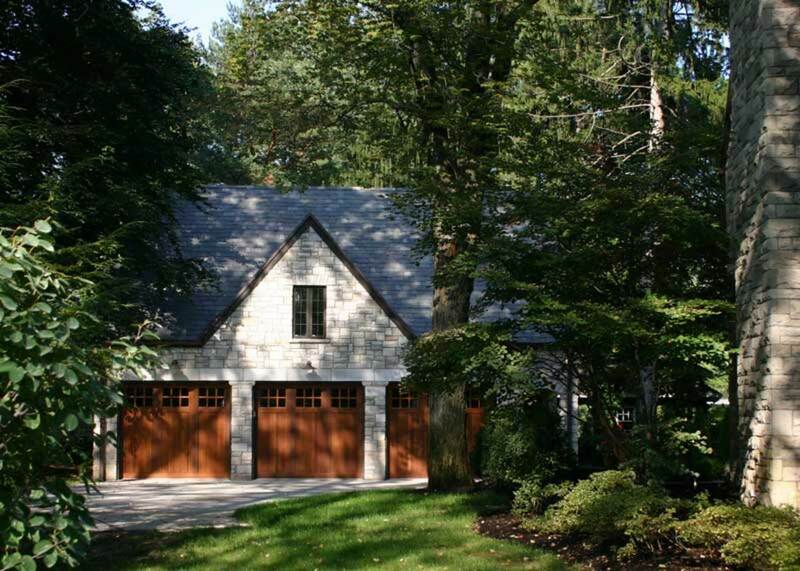 Stained cedar doors and period lighting fixtures emulate an old carriage house; this new detached garage matches the existing stone cottage. Design by Duket Architects Planners, Toledo, Ohio. 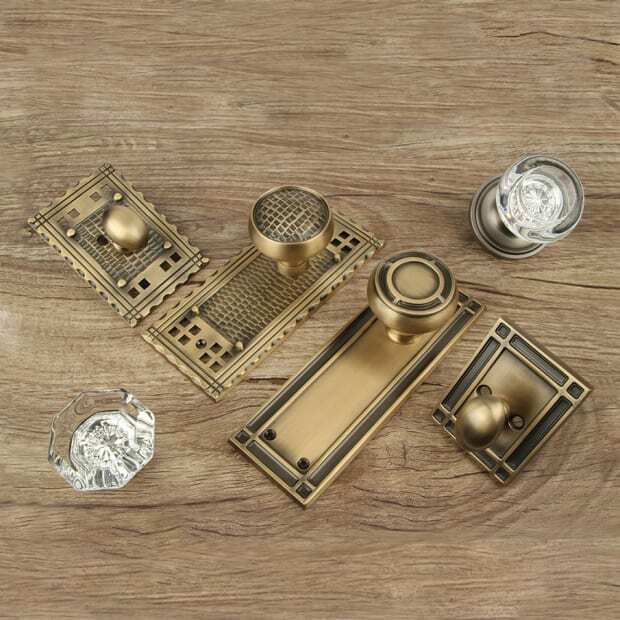 The newest designs not only reflect favorite styles and design motifs of the past, but also are state of the art in durability and ease of care. Many basic doors also come with an R-value for insulation of at least 6, while some custom doors are rated at R-16 or even R-18. An added bonus in hurricane-prone areas is rating for wind resistance and high wind loads. 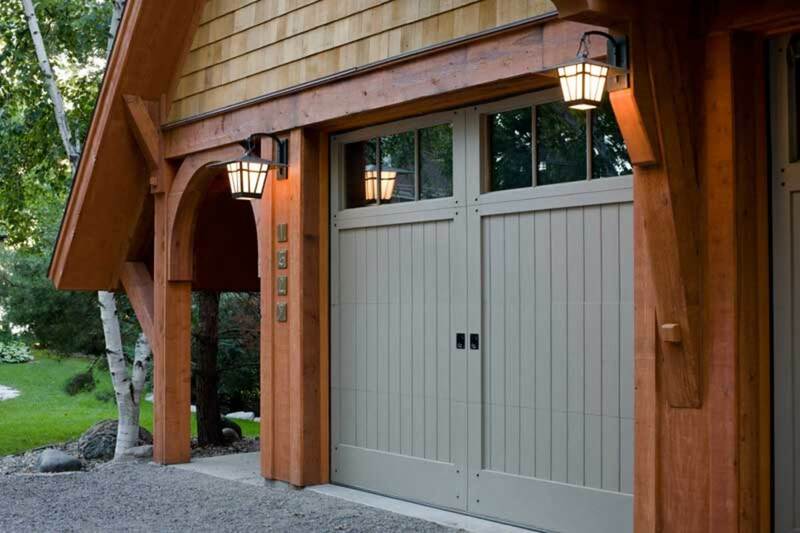 Carriage house-style doors from Everite Door are enhanced by arched headers with keystones and a pier-and-shingle detail. A well-made wood door will have the benefits of insulation and a durable interior finish, but look as beautiful as the original millwork in your house. Everite, for instance, uses superior woods and deep mortise-and-tenon joints on its custom series. Woods and finishes are selected for their longevity. Stain-grade doors are usually fitted out in a choice of luxury and more economical tropical woods (African mahogany versus sapele, for instance), as well as Spanish or Western red cedar, Douglas fir, various types of cypress, teak, or even black walnut. 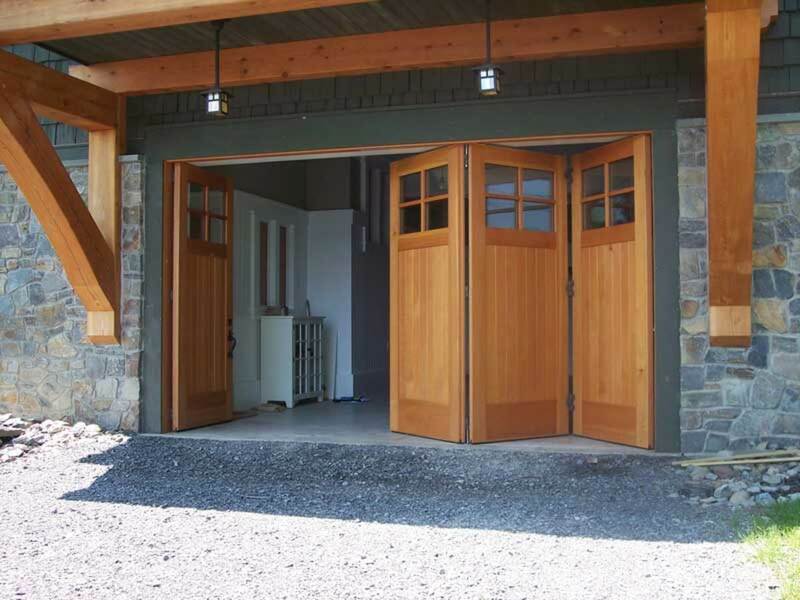 When closed, these grooved panel doors from NEWwoodworks look like old-fashioned swing-out doors, but they actually fold away, permitting a wide opening for this boathouse. 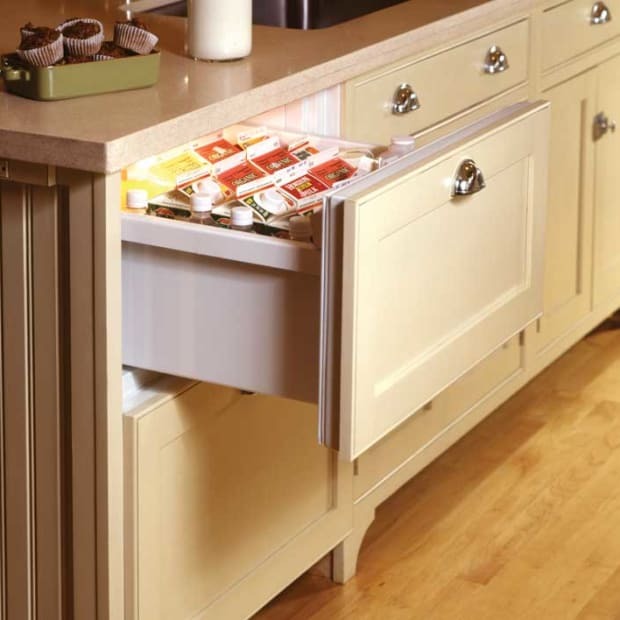 Simulated or faux wood doors are made with a wood-grain textured composite overlay. Recent technical innovations have produced long-wearing, wood-look doors with voids and other character marks, like Clopay’s Canyon Ridge Limited Edition series. A new introduction is a faux wood composite overlay in pecky cypress. Paint-grade wood doors are made from an exterior-grade, treated wood composite that is moisture, rot, and termite resistant. In other words, it’s wood, but wears better. Once you’ve chosen a basic door you like, the surface appearance may be configured in almost any panel or plank trim design. Depending on the manufacturer, the door’s appearance may be matched to original details on your house, or you could take this opportunity to upgrade to a coordinating entry door as part of the package. Architects working on new-builds and renovations often will start with a basic design from a trusted maker, and then tweak it to match the architectural elements on the house. 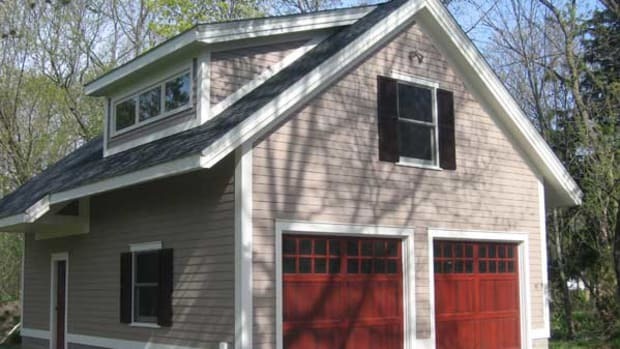 Most door designs begin with surface millwork in traditional patterns (e.g., beadboard, raised-panel, tongue-and-groove). The surface then can be trimmed with relief pieces, such as horizontal and vertical boards, cross braces, half braces, or curved half braces. 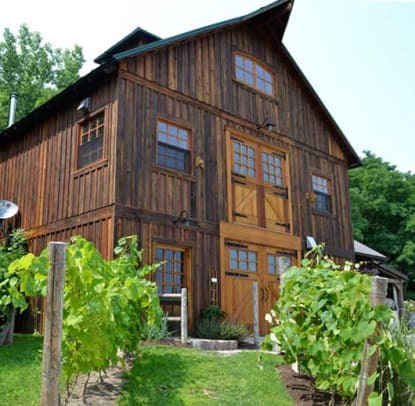 A row of windows across the top of the door is also an early 20th-century tradition. Usually this is in a row of two-over-two squares or rectangles, but Arts & Crafts-style doors may have a single row of elongated rectangles. Even if you’ve chosen a modern roll-up door, it’s possible to further the illusion that it’s a swing-out model by placing dividers between the windows at the midpoint of the door. More affordable dividers will be simulated divided lights; true divided lights are available as an upgrade. As for glazing, options include clear, tempered, or insulated glass, plus seedy, glue-chip and other traditional types of patterned glass. The finishing touch is hardware. Going far beyond the basic lock and lift set, options today include the purely decorative (clavos, window grilles, and strap hinges, for example) as well as functional (entry sets, operable hinges, and rollers). 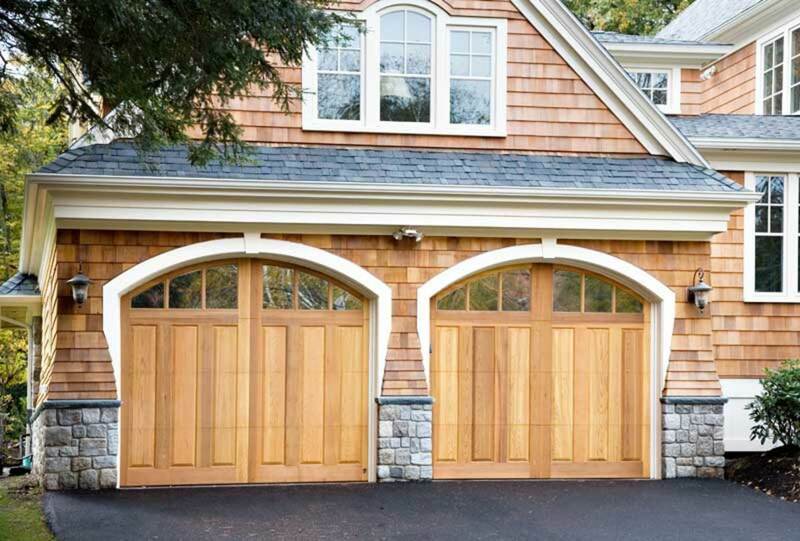 A custom-made, inset-panel carriage-house door is flanked by elongated brackets and framed by a top beam. 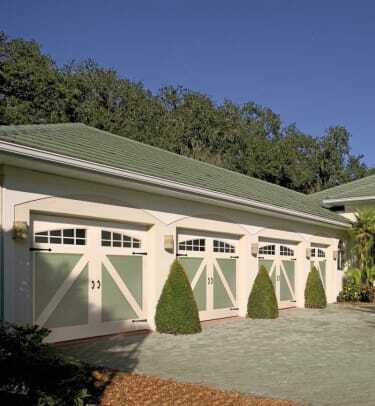 Design by Murphy & Co Design, Buffalo, Minn.
Until recently, the knock on modern garage doors has been their flat, dimensionless appearance. 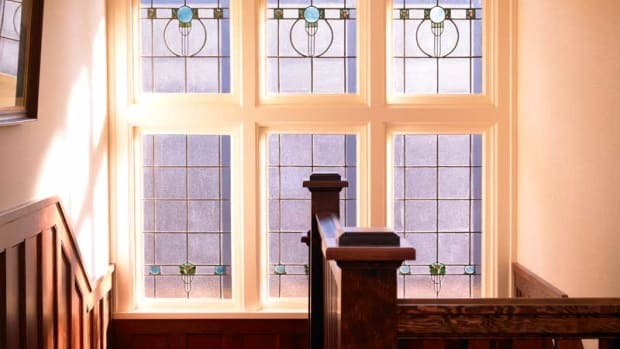 That’s changed since manufacturers began introducing architectural elements that ranging from true divided light windows to V-groove panels and cross braces. A new wrinkle that goes beyond door is the trend toward framing or accenting the area around it with additional architectural features. 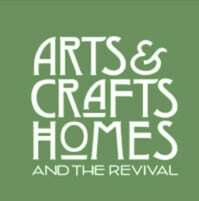 These include corbels, brackets, beams, and in some cases, a crowning window box supported by decorative brackets. Adding a beam and a pair of brackets or corbels adds depth to a feature that on so many houses has been a blank void. 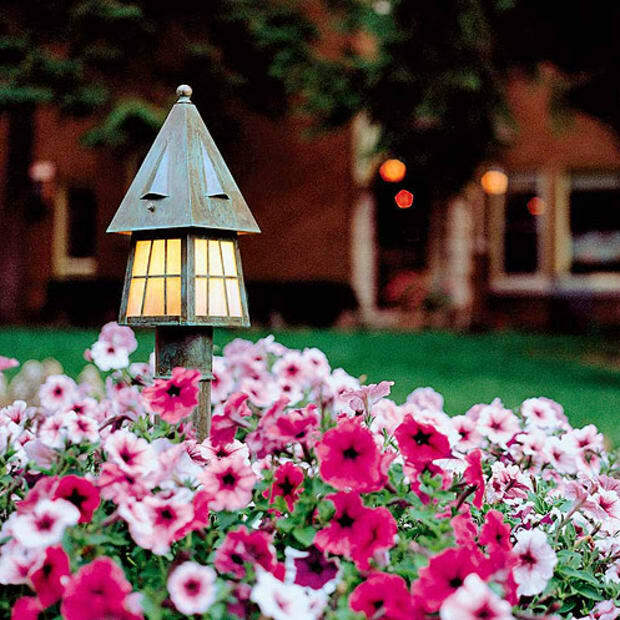 As a bonus, the bracket or beam offers an excellent location for period lighting.